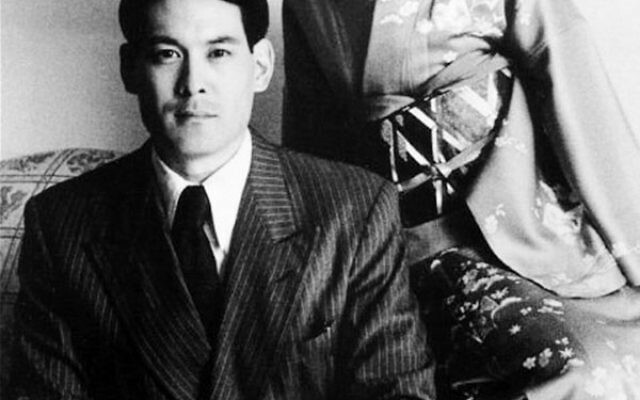 Filmmaker Chris Tashima and Susan Fukuda portray Chiune “Sempo” Sugihara and his wife, Yukiko, in Visas and Virtue. It was the opportunity to portray a Japanese diplomat and hero during the Shoa that inspired Asian-American filmmaker and actor Chris Tashima to create Visas and Virtue, a movie about Chiune “Sempo” Sugihara, who saved as many as 6,000 Jewish lives. Tashima will present his 1997 film on Sunday, Sept. 18, at the Jewish Heritage Museum of Monmouth County in Freehold. At great risk to his career, his life, and the safety of his family, Sugihara, who was serving as vice-consul in Lithuania in 1940, acted on his own authority and issued transit visas to thousands of Jews, mainly from Poland, who were fleeing Nazi oppression. The refugees were seeking asylum in Curacao, a Dutch colony in the Caribbean, where no entry visas were required. However, the only escape route was to the east, across the Soviet Union — and they needed papers that would allow them to make that journey. Over the course of several months, in his role as consul general in Kovno, now known as Kaunas and then the capital of Lithuania, Sugihara provided no fewer than 2,100 — and possibly as many as 3,500 — transit documents (no accurate count has been established). Many of the transit visas covered whole families traveling together, and it is estimated that the diplomat’s actions spared some 6,000 Jewish lives. To honor these accomplishments, in 1984 Yad Vashem recognized Sugihara as Righteous Among the Nations. In 1997, Tashima, an American-born filmmaker and actor of Japanese ancestry, cowrote, directed, and starred in the 26-minute-long Visas and Virtue, which went on to win that year’s Academy Award for best live action short film. Tashima first learned about Sugihara’s exploits when he was asked to depict him in a one-act play by Tim Toyama. 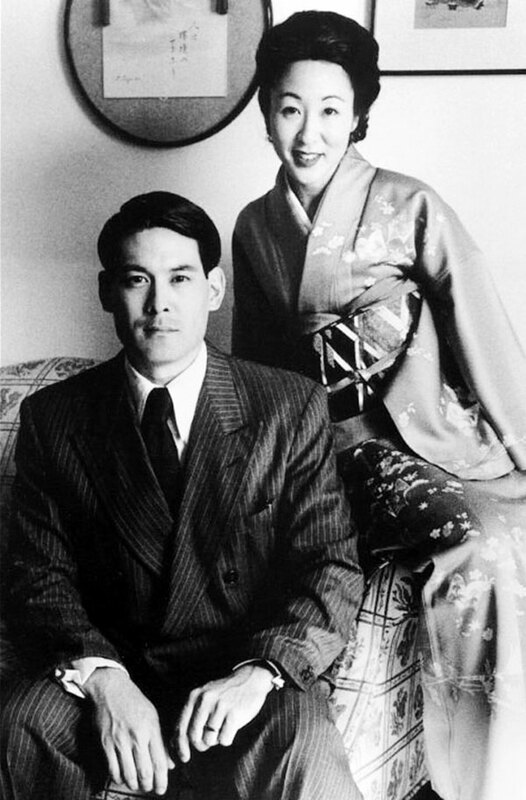 Also, while living in Manchuria, Sugihara had a brief marriage to a Russian woman and then resigned his position in protest of Japan’s treatment of the Chinese. Tashima cites these details of Sugihara’s pre-Lithuania experience to emphasize his humanitarian leanings, defiant nature, and sense of personal commitment. By 1939, when he was posted to Kovno, Sugihara was married to a Japanese woman and had three young children. He first became sensitized to the plight of the Jews in 1940 when crowds of 200-300 gathered outside the Japanese consulate’s gates, waiting patiently for assistance in their flight from the Nazis. According to Tashima, Sugihara wanted to help, but first wanted to secure approval from his superiors in Tokyo. He sent numerous pleas for permission, but when it was not forthcoming, he decided to act on his own. The decision proved critical for those he managed to save. In June 1941, the Nazis stormed into Lithuania, and the small window of escape was slammed shut. Sugihara was sent to Berlin, but was said to still be stamping transit visas and distributing them as he boarded the train.